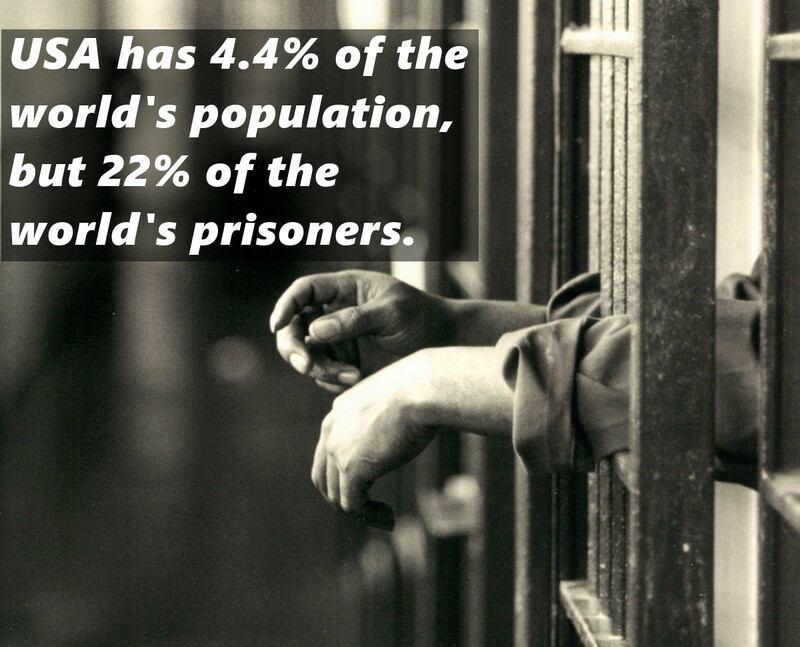 This is a very alarming statistic about the United States prison population. As of 2013, the United States has about 20% of the entire world's prison population even though it only makes up about 4.4% of the overall world's population. This is extremely disproportionate and indicates that there might be something very flawed in the current United States prison system. But on the flip side, this statistic might indicate that other countries around the world are less tough on crime as USA, but even this is no reason for America having such a large prison population. In fact, USA has the second highest incarceration rate in the world, only country topping USA is small African country Seychelles, which has 799 prisoners per 100,000 of its population. American has about 716 prisoners per 100,000 population. These prison numbers are a huge problem in the United States have many people blaming the rise of privately owned prisons that make a profit the more people in jail, as well as the drug possession laws that seem to affect the poor minority population the most. Regardless of what the reason is, something needs to be done to fix this prison system has it costs United States tax payers about $74 billion in 2007.